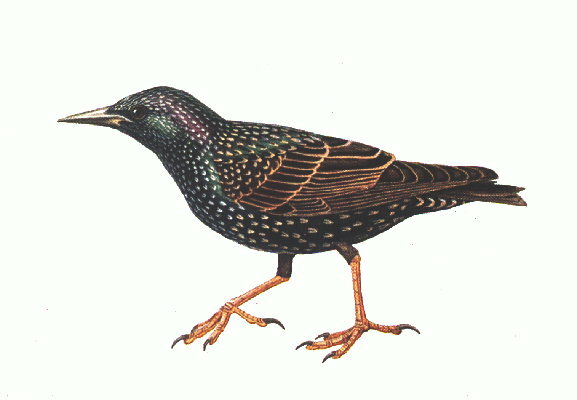 Starling Control, Easily Keep Them Away From Your Property. 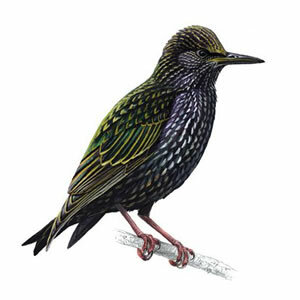 Starling control is necessary if you want to keep your car paint intact and you don't particularly like their constant warbling when you're trying to have peace and quiet. A lot of people don't like their melodies.. Here's yet another common bird which is easily identifiable by their black and speckled color of its feathers with a bright yellow beak. I like installing anti-roosting to material because it takes care of most birds, it makes it really hard for any bird to land on your property because of its prongs. Repellents, Sealing Your Home and Property. We'll start with the preventative measures, then ease into treatment. Okay, the first thing you have to do is discourage them from entering buildings in your property, attics are one of their favorite places. Don't allow them to nest on your property by using copper mesh, expanding foam, even a combination of both used appropriately throughout your home. You can also use anti-roosting materials for the outside of your property but I recommend you focus under your eaves. These are fairly simple to install but are a bit more expensive than the previous 2 methods explained above. Sticky gel is very easy to find, one I like is Eaton's 4 The Birds Gel, a good solid option. You can apply the gel wherever you see or may think the bird is gaining access (usually 2 ledges) to your property with caulking tube which covers about 10 linear feet per tube. Also try bird coil, this slinky type coil is basically rolled up wire that you can place on ledges or anywhere pigeons have been invading. The coil is very effective at repelling pigeons but it can make your house look a bit like a prison, you better ask your wife before you proceed with this one. Trappings. Don't bother with this option, starlings are very smart and will not get in the trap. Other	birds have no problem walking into these traps but starlings will not do it. Eaton 4 The Birds has some safe chemicals to use but they are not really necessary since most of the methods described above are pretty effective.